Tipu Sultan is popularly known as the Tiger of Mysore and Tipu Sahib. 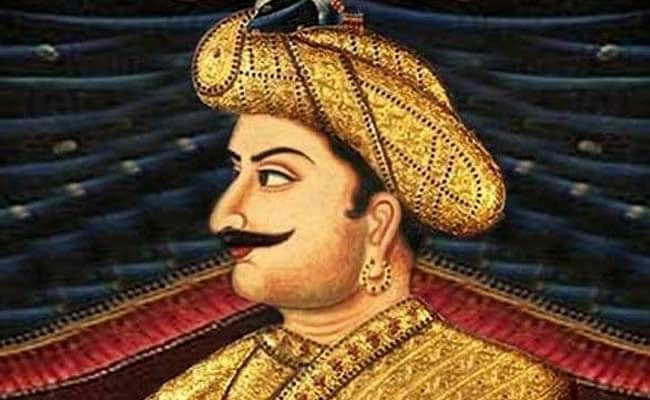 Tipu Sultan Jayanti or birth anniversary is marked on November 10 every year. The 18th century ruler is popularly known as the Tiger of Mysore and Tipu Sahib. He was born as Sultan Fateh Ali Sahab Tipu on November 10, 1750 in Devanahalli, present-day Bangalore and succeeded his father in 1782. Tipu Sultan's reign is remembered for many technological and administrative innovations. He introduced new coin denominations, new coin types and a luni-solar calendar. Tipu Sultan is also revered as a pioneer in the use of rocket artillery. He expanded the use of rockets, deploying as many as 5,000 rocketeers at a time. During his rule, he introduced a land revenue system which gave a boost to the Mysore silk industry and helped in establishing Mysore as a major economic power. Tipu Sultan had great love for horticulture and gardening. His father and him have been credited for establishing the 40-acre Lalbagh Botanical Garden in Bengaluru. He fought several wars against the Marathas and the British and came out victorious. In the Fourth Anglo-Mysore War between 1798-99, however, he was defeated when the forces of the British East India Company, the Marathas and the Nizam of Hyderabad came together. He was killed on May 4, 1799 while defending his fort of Srirangapatna, present-day Mandya in Karnataka. The birth anniversary celebrations started by the previous Congress regime have been continued by the coalition government. The BJP has long opposed the state government organising the official birth anniversary celebrations of Tipu Sultan, the 18th century ruler of Mysore, saying the annual event is a gimmick to appease the Muslim community. The BJP has been protesting against the celebrations in Karnataka to mark Tipu Sultan Jayanti. R Ashok, BJP leader and former Home Minister told NDTV: "This is not a communal protest. We honour Muslim people for their sacrifice for the nation. But Tipu demolished temples and churches - and killed people. He is not a freedom fighter. Do not waste public money on these celebrations." The BJP leaders said the protests will be peaceful, but the state government, taking no chances, has deployed heavy security. Chief Minister Kumaraswamy told NDTV: "The celebrations will be peaceful. I have given direction to all our police officers to take care of the common man. I have also given direction that action must be taken against whoever is disturbing any government function."